Well there you have it. 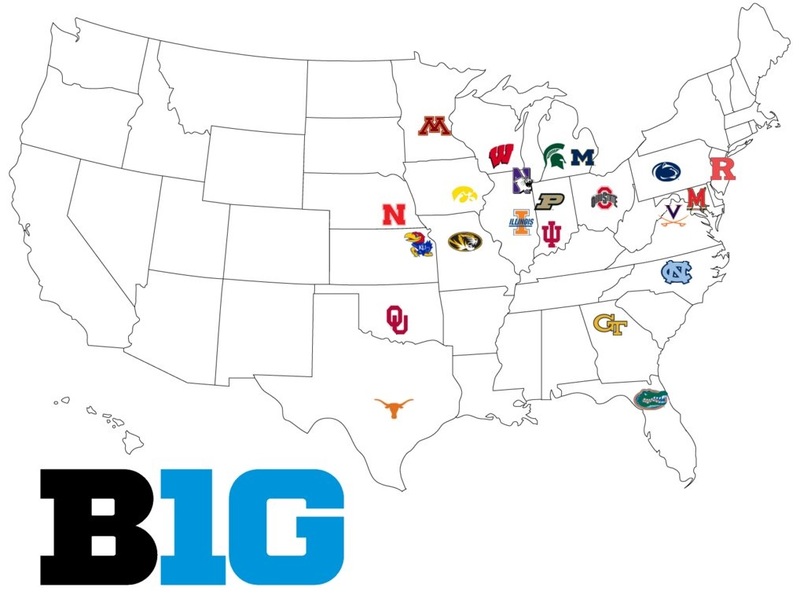 The Big Ten has expanded into a bicameral twenty two school collegiate powerhouse. They now own the 1, 2, 4, 5, 6, 9, 11, and 12 schools according to revenues generated over the last calendar year. By building a conference built of only elite Academic and Athletic institutions, the Big Ten has developed an enormously valuable league based on revenue potential. To effectively chart such a thing as a schools revenue potential I thought it would be interesting to see if I could create some way to quantify that. Below is my first attempt to derive what a universities SKOHR is by evaluating their end of season sports rankings, academic standings, the size of their TV market, and current athletic revenues. A schools' final SKOHR is reflective of the total revenue potential each school has and at this point can be considered more directional helping us derive some sort of ranking. This is all very interesting to me but again it's all very very theoretical. Would I love to see a Rutgers schedule look like the below? Yes. It would take some updates to the college football landscape but that's what SKOHRboard is here for, to help Mark Emmert and gang see the future. You're welcome Mark. Where do I sign up for that schedule? That's 6 away games, 7 home games, 10 B1G Eastern Conference games, 1 crossover game (Northwestern), and two out of conference BCS games (Arizona and Ole Miss). Thirteen regular season games seems to be the way things are going anyway. Most schools already have 12 games on the schedule and then room for their conference championship too so I think as we see conferences consolidate we'll see schedules expand to allow schools to play all teams within their division. Not only is that expansion great for football but look at those basketball schools! It's now definitely the best basketball conference in the country. They'd have had 9 schools in the top 25 if it was a conference last year. Just sayin'. I'd imagine that the B1G season ending tournament would pit the top 8 schools from each division against one another in an amazing 16 team tourney that can rotate from Atlanta, New York, Chicago, and Dallas. Additionally there would be 15 schools in the top 68 which means that the B1G would account for just under a quarter of all teams in the NCAA tournament! The reason that I think this can all happen is because of that top tier quality. That is what makes people want to watch. It's a must see event every weekend for local fans and a guaranteed national sports matchup as well. All of that brings advertisers which in turn brings TV Networks bidding on the rights to broadcast those can't miss games. There you have it. The future of the Big Ten. The B1G. This means I'll probably have to examine what will happen with the fallout in the other conferences as the B1G has ravaged the ACC, the SEC, and the Big 12.